So there are a few things I hate about being sick. The first is that sickness always seems to happen when your husband, wife, partner, boyfriend, mom, whomever that person in your life is who is by nature of your relationship the designated person to love and care for you when you're a hot mess of viral plague is out of town. It's always a conference, work, family thing that takes them away from your bedside leaving you to stew in your piles of used tissues and to hack phlegm across the stove top as you warm up your canned soup. As I sat groaning in bed I muddled this thought in my congested head. Once again, BF was away and I was sick. Even worse, I was homeless as my apartment - once thought to be fixed from the water leak - was now a hotbed of mold and remnant water vapor. Furthermore, I was unable to move due to being trapped in a lease with a bullheaded witch of an apartment manager whom the universe had - for some unforeseen reason - not yet seen fit to drop a house upon. BF was away in Dublin, California, a forgotten armpit of the state that no one has ever heard of. Its location being so far away and so secluded from modern civilization the United States has of course seen fit to put a training base for the army there and bring in BF to learn how to set up the plumbing for a field hospital because, you know, why not? Lucky for me, I have friends who care and who live nearby. The bed I was groaning in was not my own but was that of my friend, Elise Bauer. My personal Florence Nightingale. Her home was once again my halfway house after a disaster. Even more lucky, she and her charming boyfriend, Guy, a renaissance Frenchmen who knows everything from rental law to how to fix a an old shower head, were kindly keeping an eye on me. Elise comforted me with tea and clean, cotton sheets of a thread count higher than my rent. Guy kept me laughing and roasted marble potatoes and tomatoes into a simple, filling, but easy on the stomach meal. As I sat in bed watching every episode of My Little Pony: Friendship is Magic (which, by the way, is an outstanding show to watch in a fever haze) and coughing up my ribcage whole they spent some of their time picking up homeopathic medicines and whipping up batches of pancakes for me to eat to gain some strength back. Now, the other thing I hate about being sick is that I generally can't eat dairy. At all. It just churns my stomach. Yogurt, ice cream, quark, or cheese; it all just makes me want to hurl like a runway model after she eats a potato chip. This is a sad thing because I love dairy. In my heart of hearts I believe that dairy also possesses a particular fondness for me. It knows when I am sad and want to eat it. It knows when I am happy and want to eat it. 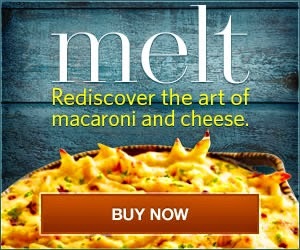 It knows when I'm searching through the fridge on a lazy afternoon looking to eat out of boredom. They are fine with that. They reach up with arms outstretched for me to pick them up and toss them in the air and eat them. I'm always overjoyed to oblige. See? We're made for each other. I especially love cheese. In fact, at any given time you can probably find at least five very good cheeses carefully stored in my fridge. Each is wrapped in cheese paper and placed in one of a few breathable containers. I take care to preserve and enjoy them. All this goes to pot once I'm sick. So, finally, a bit better I decided to call my friend cheesemonger friend, Felicia. I asked her if she wouldn't mind showing me a few cheeses that her heart was currently set on. She suggested that simple summer go-to's were burratas, chevres, or mozarellas. 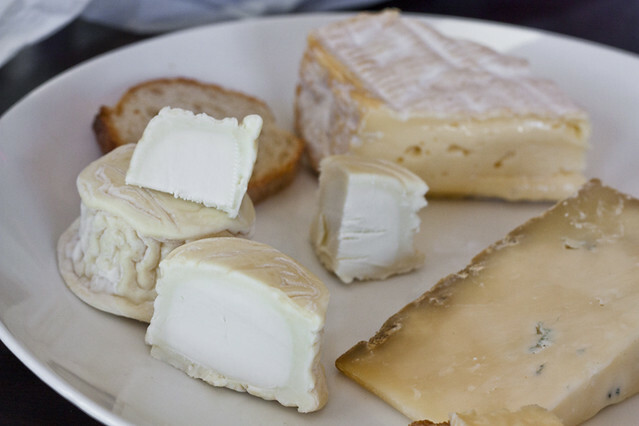 These are light cheeses perfect for salads or crostini and that wouldn't weigh a person down. Logical cheese choices when the heat becomes as oppressive as family guilt. However, she invited me down for a light lunch of cheese as she wanted to show me a few something specials. I agreed and arrived at the arranged time to a table set with three unique cheeses, some bread, and tall, chilly bottles of blueberry and grape soda perspiring in a pool of cold sweat. A simple lunch at its best. The next cheese was a petite pair of Bijou crottins from Vermont Creamery. 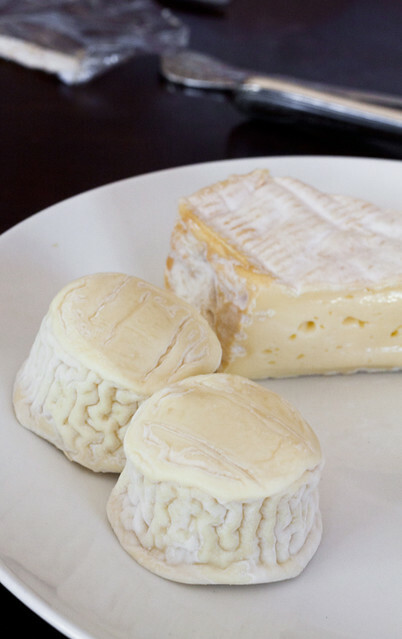 Crafted by Allison Cooper, a pioneer of American cheesemaking who began crafting goat cheeses back in the 1970s, these little goat brain looking cheeses are American classics. A dense and chalky soul is surrounded by a creamy paste with a lactic-sour flavor. 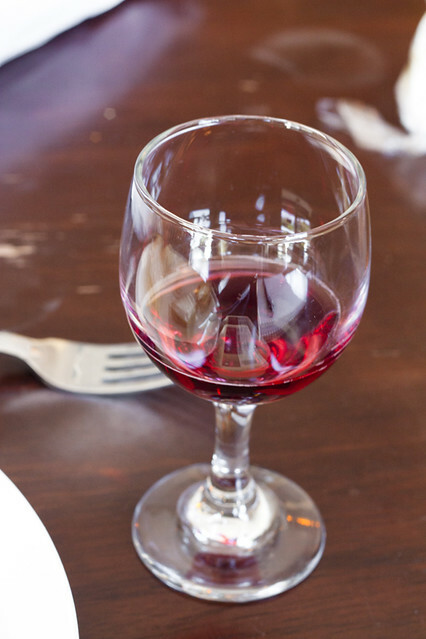 Amazing with bread, fruit, wine, and even micro-brewery sodas. I cannot get over how adorable they are. I would snuggle them if I could, but if they get to close to my face they won't stand a chance. 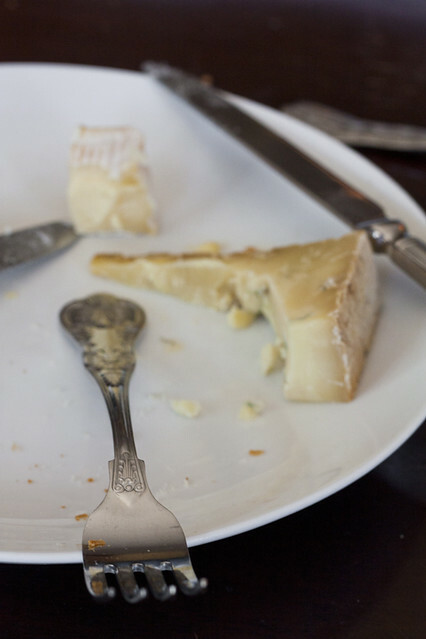 Lastly, our plate was graced with a wedge of Dunbarton Blue, a lightly blued cheddar. It's strong. Powerful. It tastes like a typical aged cheddar, but with a slightly spiky flavor from the mold. It's a pretty rockin' break from the everyday cheddar. As Felicia so eloquently put it, "Mmm... flavor 'splosion." It was a perfect little collection of cheeses. Simple, flavorful, a colorful blend of ideas applied to milk and culture. Now that I was feeling a little more healthy it was a fine welcome home to the foods I love. 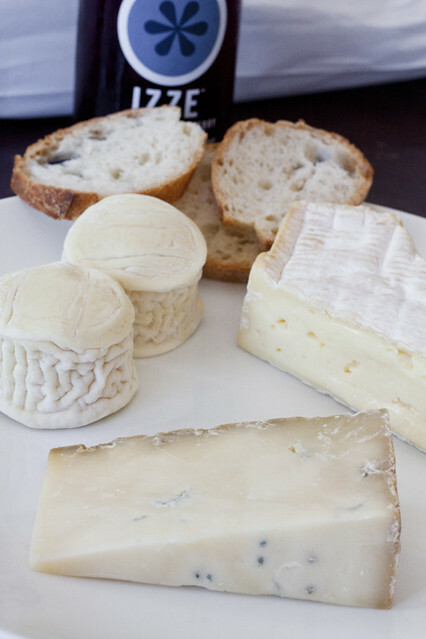 Many of these cheeses can be found at most high end grocers or cheese shops. If not there, then you can hop online or call Taylor's Market and order them. I hope you are feeling all better! Tell me about the breathable containers. Are they just for cheese or do they have other uses? Where does one find them? If you don't have any, what can you substitute? And cheese paper is what? Thanks! Gwen: Cheese paper is a special paper that is slightly perforated. Parchment or wax paper can do just fine. For containers, just use plastic ware. No need for all the special whatnots and do-dads. I'm just a cheese nerd. I'm not a real fan of plastic. I try to avoid it if at all possible. What are 'breathable containers' made from? Gwen: They are made from plastic. P.S. Where have you found the cheese paper for the best price? Hopefully online. GweN; Amazon is just a dandy place to find everything. Cheese shops will also carry it. A little online web search should help you find what's perfect for you. Would you also use the cheese paper+box for common things, such as a two-pound block of Tillamook cheddar? mm, kwark. Where do you find it? I"ve not been able to find anything resembling it since I left the Netherlands. (or, in fact anyone who knows what it is. am obviously shopping in wrong places) Pittsburgh has a lot of cultural diversity, so I should be able to find it somewhere, if only I know what type of shop to check. Kathy: I find it at Whole Foods and the Farmer's Market. Can't help you with where to find it in your city though, as I've never been. Good luck! Oooh, cheese plates. 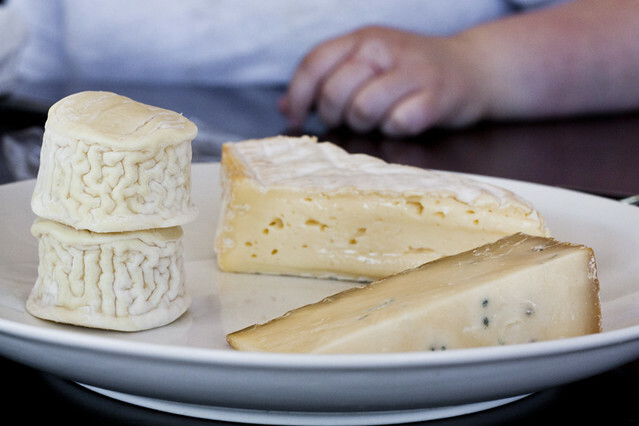 I have to admit, I want to try more cheeses after reading so much about it on your blog! I've also been to Dublin, CA. Mainly because my dad insisted on driving through it and taking photos because we're from Dublin, Ireland. My husband got a hankering for Humboldt Fog last night. While I was searching for it, I noticed a 225 gram tub of kwark nestled among some local soft cheeses. It came home with me. Alas, there was no Humboldt Fog to be found, so I grabbed a Buttermilk Blue for him to try instead. My 14 year old daughter has finally approved of me reading your blog! She has been making fun of me for following you like a food groupie, even though she has thoroughly enjoyed your cupcake recipes & is about to make green tea popsicles with me. Anyway, she approves because you watch My Little Ponies, which, she ardently agrees, is an outstanding show! So, you must be pretty dang swifty! Glad you're feeling better! I live near Dublin, CA (though on the side closer to civilization, you know) - I'm pretty sure I could find kwark in Dublin - ain't that a kick in the pants? Have you filed a formal complaint to your landlord? I work for an apartment management company and pay to put people up in hotels while their apartments have mold issues. You can also make claims for any property damage, such as mold growing on shoes or clothes hanging in the closet. You can also claim illness from the mold. Maybe you are sick because of the mold. I'm not sure what your rights are about breaking the lease but I'm sure California has a landlord-tenant agency that can talk with you about your rights regarding a mold apartment. based on your feverish recommendation, i just started watching my little pony and it is ridiculously addictive! 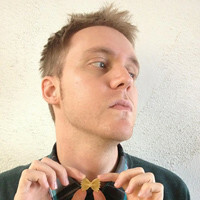 have you heard all this talk about "bronies" -- guys who watch the show and are proud of it? This totally made me laugh, when you mentioned watching My Little Pony. Great show :-)!!! Especially when you need something to watch while sick. Sorry to hear you are ill, hope you come out of it fast! Beautiful looking cheese plate - and particularly love Pont l'eveque. Now I have cheese on the brain!